The OMC-138 is the standard wind display for land applications and fixed offshore objects. 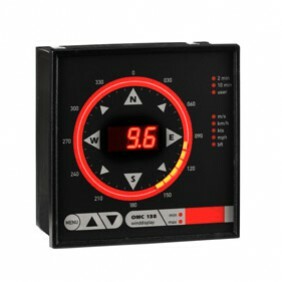 The display can be provided with industrial standard outputs eighter as standard or as option (4..20 mA) The OMC-138 is suitable for flush mount and is housed in a standard 144x144 housing. The unit can also be supplied with a black OEM front, called the Black line.